Gurugram Police has provided android-based tablets and mobile application to all police stations in the district. In order to cut delays in police verification for fresh and renewed passports, Gurugram Police on Monday provided android-based tablets and mobile application to all police stations in the district. 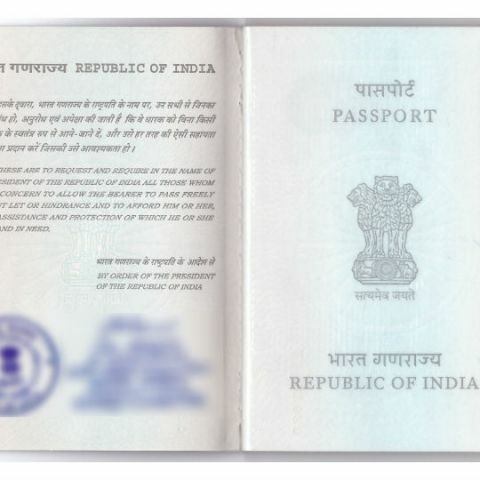 "With the introduction of mPassport app and smartphones, the passport verification process will henceforth be paperless," Police Commissioner Sandeep Khirwar said. The applications can be easily operated on smartphones. He said the move will lessen the burden on police and fast-track the process of passport issuance and renewals. District police spokesperson Ravinder Kumar said: "The motive to introduce mobile application and provide smartphones is to lessen the burden on police stations and to fast-track the process. The online verification process has been operationalised now." The tablets and mobile app were handed out on Monday after a meeting of all Deputy Commissioners of Police, Assistant Deputy Commissioners and Station House Officers, which was chaired by Khirwar. The app will help police officers during field verification. By using this app, the officials can directly update the verification report digitally into the system. Earlier, police downloaded and printed the verification forms and visited the houses of passport applicants for physical verification. Under the new system, police officers will visit the applicants and fill the required form on their cell phones. Further, pictures of applicants will be uploaded through the mobile app. Similarly, verification reports, once submitted, will be sent to the Passport Office and automatically saved in Police Department server.